A Sussex man refused to pay his council tax because he believes the government take part in terrorist activities, a court heard today (Wednesday, October 7). 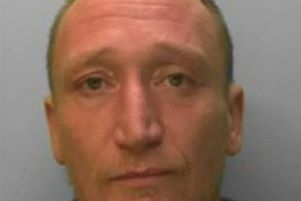 Christopher Coverdale, of The Mint, Rye, was jailed for 42 days at Hastings Magistrates’ Court for owing more than £1,800 in tax to Rother District Council (RDC). The 69-year-old pensioner believes it would be a criminal offence under the Terrorism Act 2000 to pay taxes for the government to use in ‘illegal’ foreign warfare. “My case is that I refuse to break the law,” he said. He said he has never had the chance to put forward his case and believes he is ‘upholding the law of the land’. Coverdale’s argument that council tax funds terrorist actions had been deemed ‘without merit’ by the High Court and the Court of Appeal. District Judge Teresa Szagun said she could not go against those decisions and refused to consider his pleas as the hearing was purely to determine whether he could not or would not pay the fee. “Having heard from you that you are refusing to pay this on the basis that it is unlawful despite being told that is not the case,” she said. This was the 13th occasion RDC has taken Coverdale to court over his outstanding bill. A committal order – a warrant to issue the defendant with a custodial sentence – was granted in March, when Coverdale was handed a 28-day sentence, suspended on condition he pay back the £1,375.16 council tax bill for that year at £20 a month. Coverdale was then imprisoned for only paying back one instalment and refusing to allow bailiffs entry to his house after a hearing on June 30. He only spent a few hours in a cell before a friend paid what Coverdale owed. Coverdale first appeared before magistrates in October, 2013, when RDC was granted a liability order requiring him to pay back council tax he owed for 2013/14. In July, 2014, the council was granted a committal order and he was handed a 28-day suspended jail term and Coverdale is still paying off the £1,056.18 from that case. District Judge Szagun was satisfied Coverdale would not pay his council tax and gave him a consecutive sentence of 42 days – 14 days having paid about half of the first bill and 28 days for the second one.